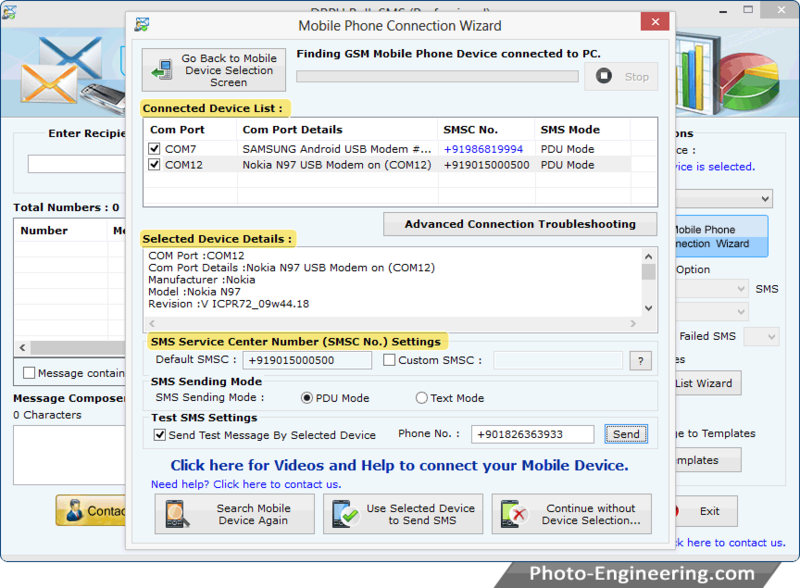 Wizard shows connected device list, select particular COM Port to view corresponding device details including COM Port, Model etc. 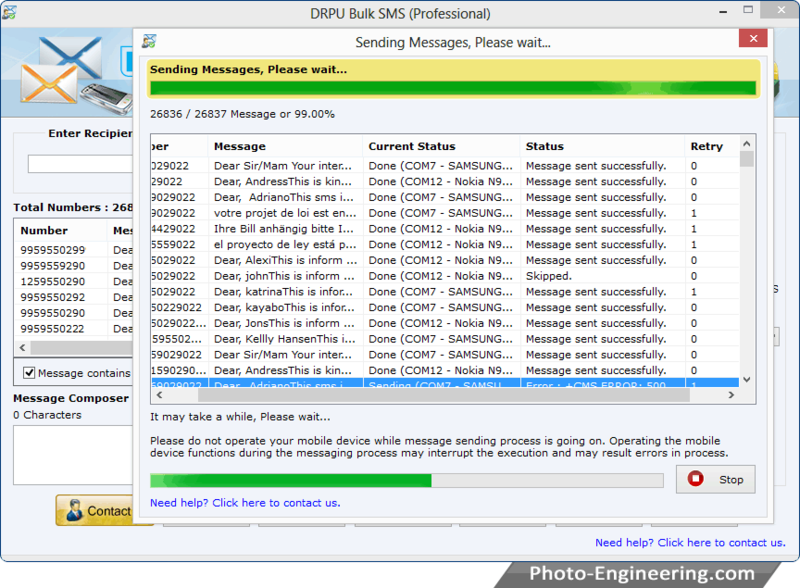 Go to 'Use Selected Device to Send SMS' button. 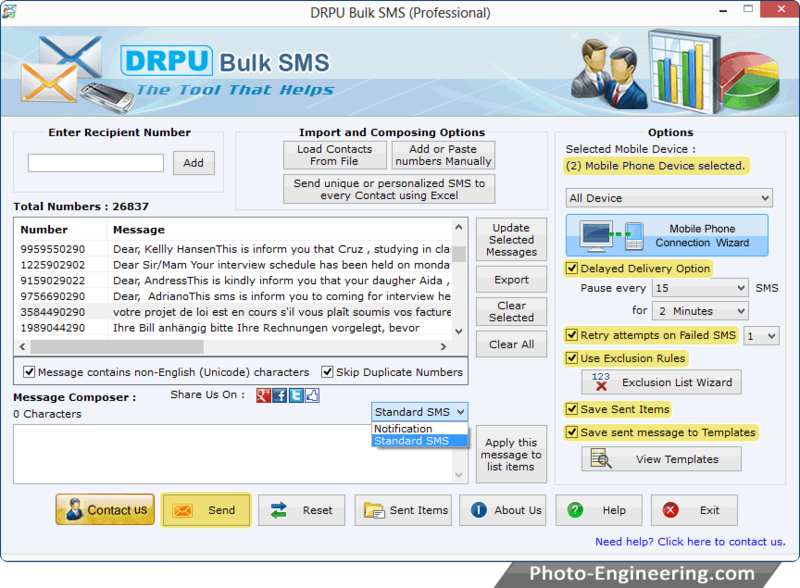 Use "Import and Composing Options" to load contact numbers, You can select 'Delayed Delivery', 'Use Exclusion Rules', 'Save Sent Items' and other options. Then click "Send" button.